Night two of the Democratic convention drew a 25% bigger audience than night two of the Republican convention last week. Former President Bill Clinton's prospective "first gentleman" speech was seen by roughly 24.7 million viewers across seven broadcast and cable channels, Nielsen said. The same night of the RNC last week averaged 19.8 million viewers across the same channels. The political ratings race has received extra attention due to Republican presidential nominee Donald Trump's reputation as a ratings magnet. Last week he celebrated the Republican convention ratings and predicted that "nobody's gonna watch" the DNC. But the Democratic star-power -- Clintons, Obamas, Bidens, Sanderses, and more -- is clearly attracting viewers. Nielsen's convention numbers do not include PBS, C-SPAN or live streams. Underneath the top-level data, there's a demonstrable shift in viewer behavior. The audience is increasingly turning to cable channels over the historically dominant broadcast networks. 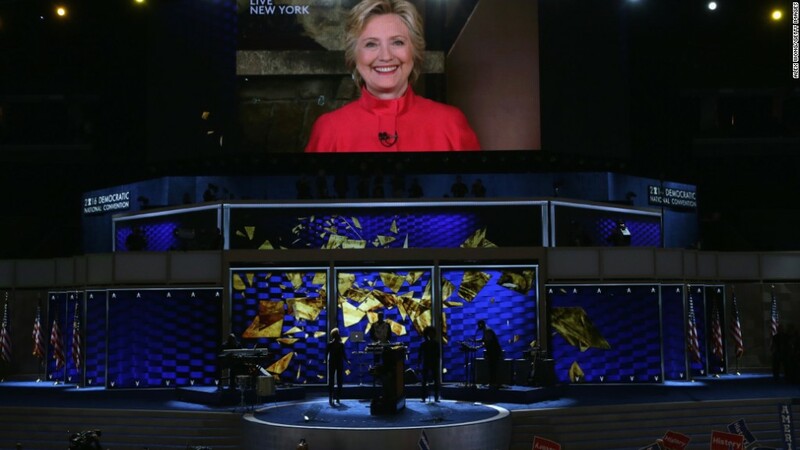 CNN was the top-rated source of convention coverage again on Tuesday, averaging 5.9 million viewers between 10 and 11:15 p.m. ET. The combined audience for CNN and its two cable rivals Fox News and MSNBC out-rated the combined audience for NBC, CBS and ABC. The same thing was true on Monday. This is a change from past Democratic conventions. The only day in 2008 or 2012 when cable coverage of the DNC beat broadcast coverage was on day two in 2012, and that was only because NBC showed an NFL football game instead of the convention proceedings. RNC ratings are a different story because Fox News usually sees a surge of viewership during Republican conventions. In fact, Fox News enjoyed its highest-rated week in eleven years last week. Cable news, propelled by Fox, out-rated the broadcasters on most RNC convention days in 2008 and 2012, and all four days last week. Compared to 2012, the biggest gainer during both the RNC and DNC has been CNN. "Way up" is the way CNN's press releases have described the ratings for each of the six days of convention coverage thus far.